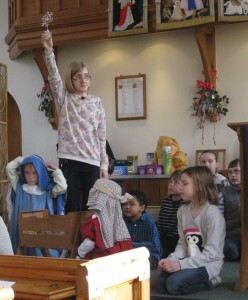 Chirdren we need you. 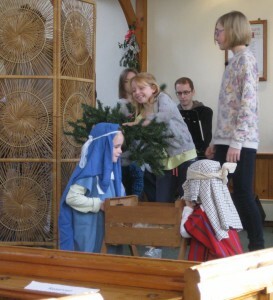 The shepherd wants to visit baby Jesus but need your help to find his lost sheep. 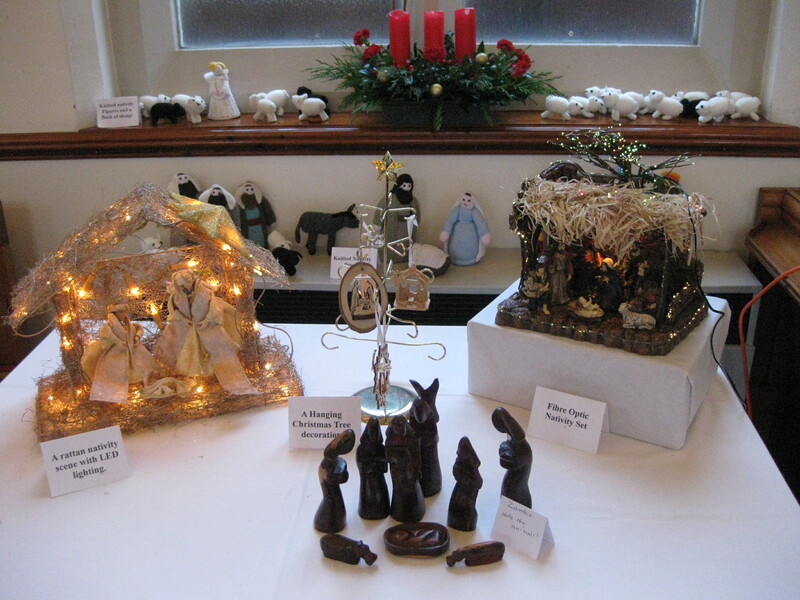 The sheep are hiding in shop windows. Follow the map and find the names of the sheep. Entry forms and details from King’s Table or the Library OR download the forms here. 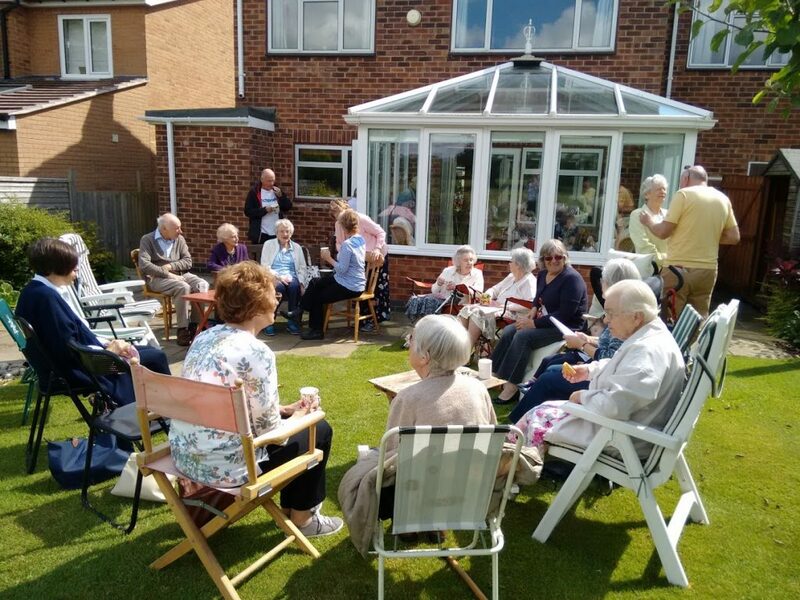 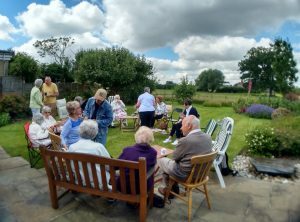 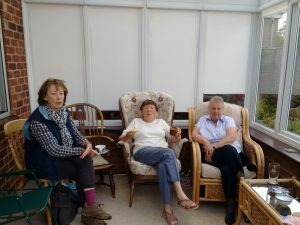 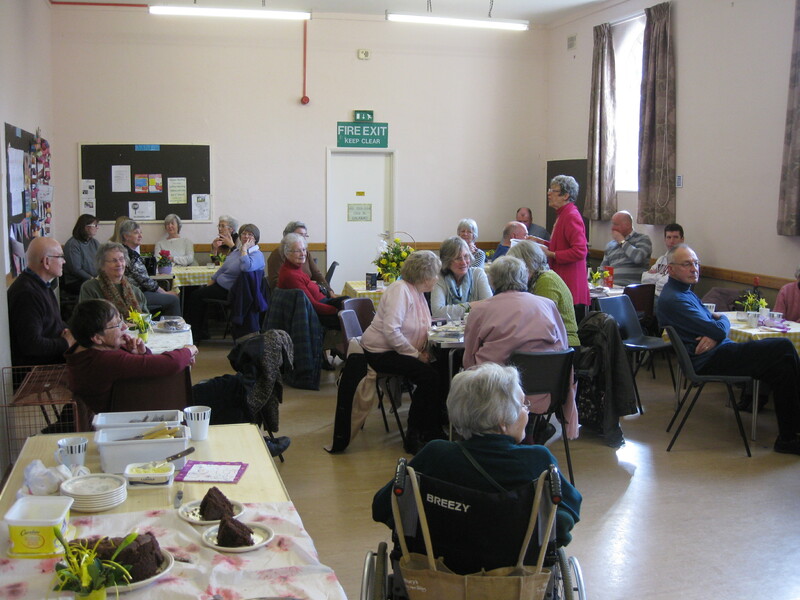 It was a lovely morning and as well as enjoying ourselves eating cakes and drinking coffee we raised £ 130 for the Leamington Night Shelter. 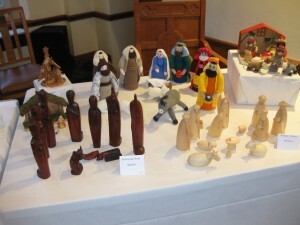 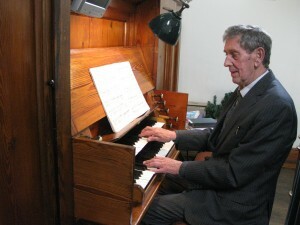 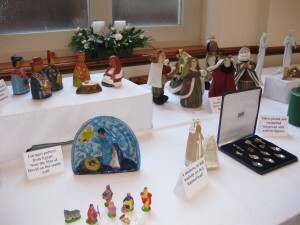 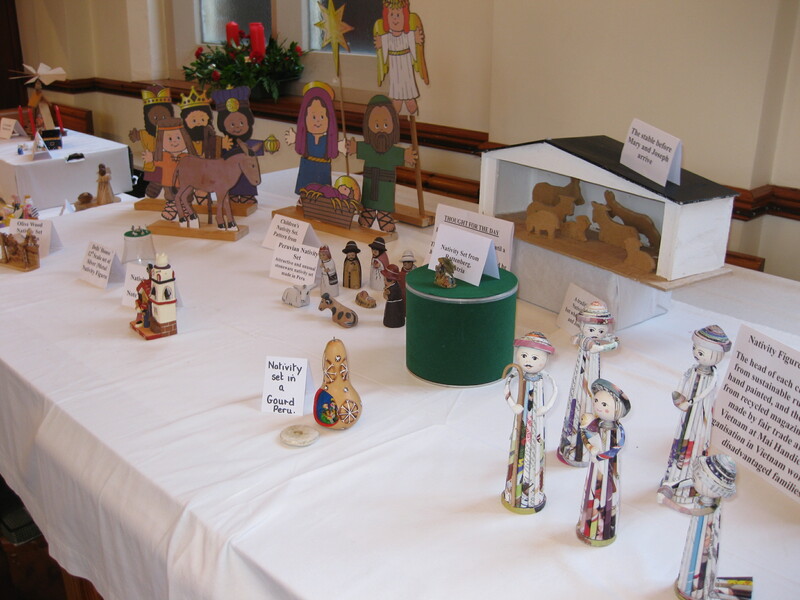 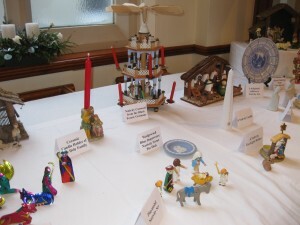 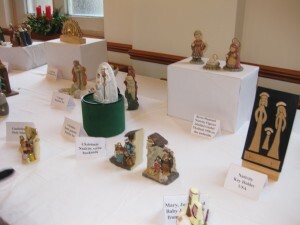 What a wonderful exhibition, made up of 102 items borrowed from John & Marjorie Carrier and 23 from Abbey Hill members. 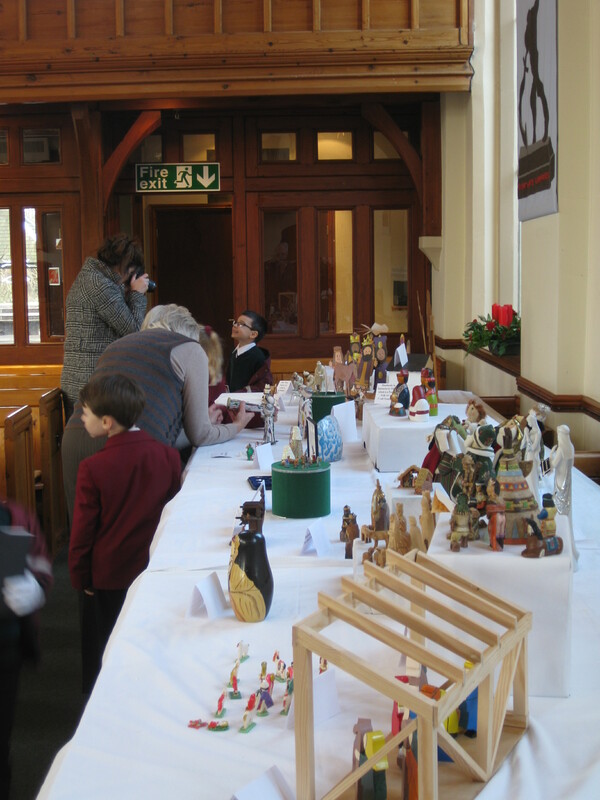 Every visitor, Child or adult, was surprised by the variety and extent of the exhibition. 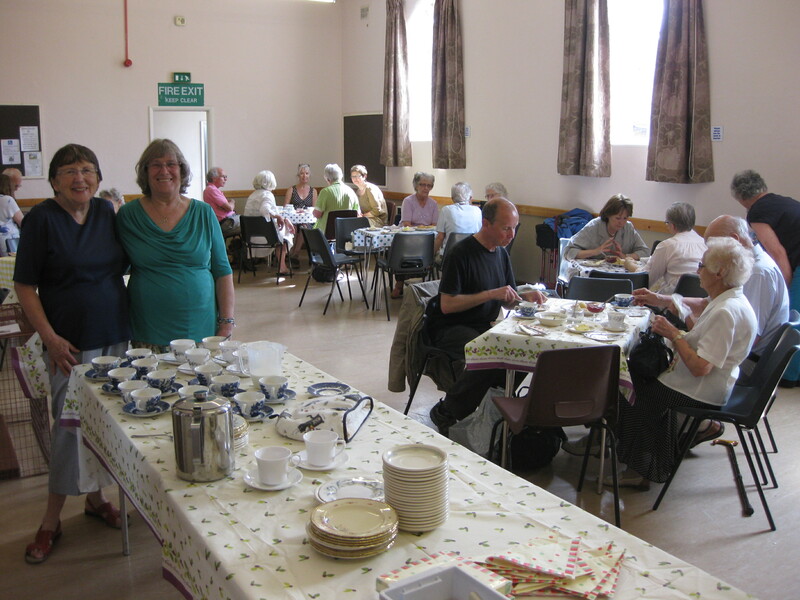 Visitors enjoy their free cream tea on our community Day when we invited all to view the new doors, see the church and enjoy a cream tea. This was very well attended. 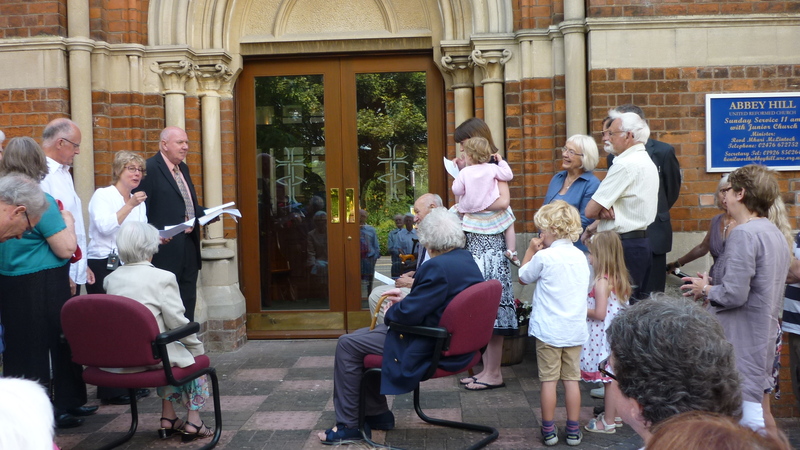 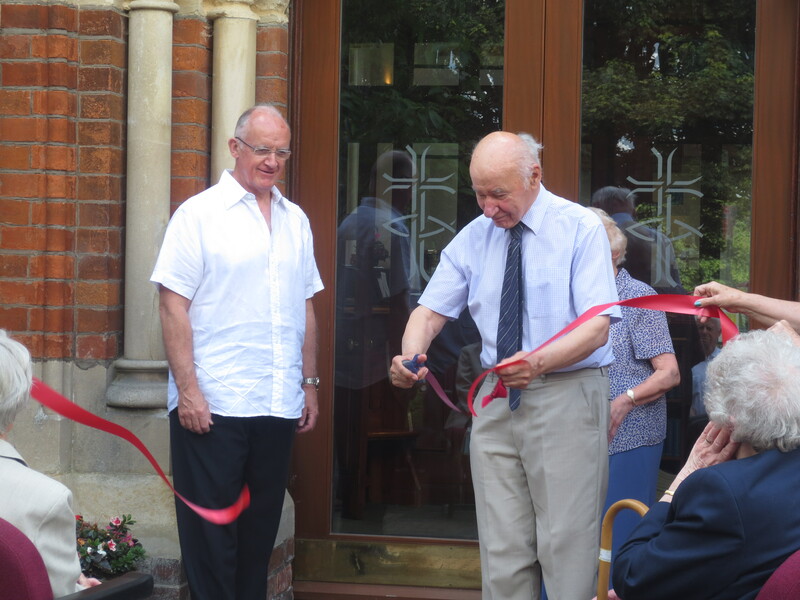 The congregation were invited to move outside the church for the dedication of the new doors. The Minister, Mhari McLintock and George Jones led the service. 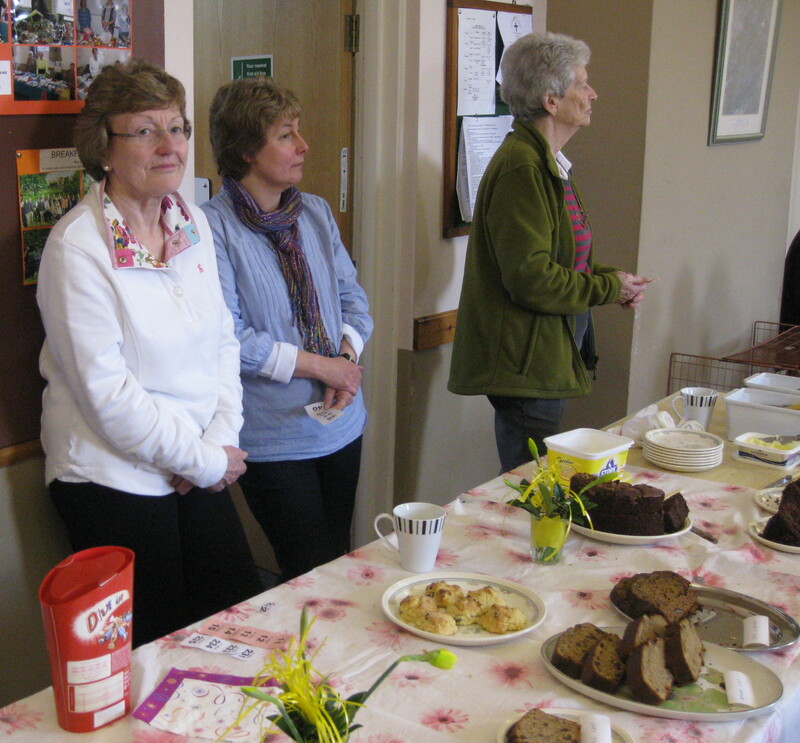 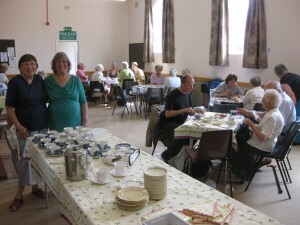 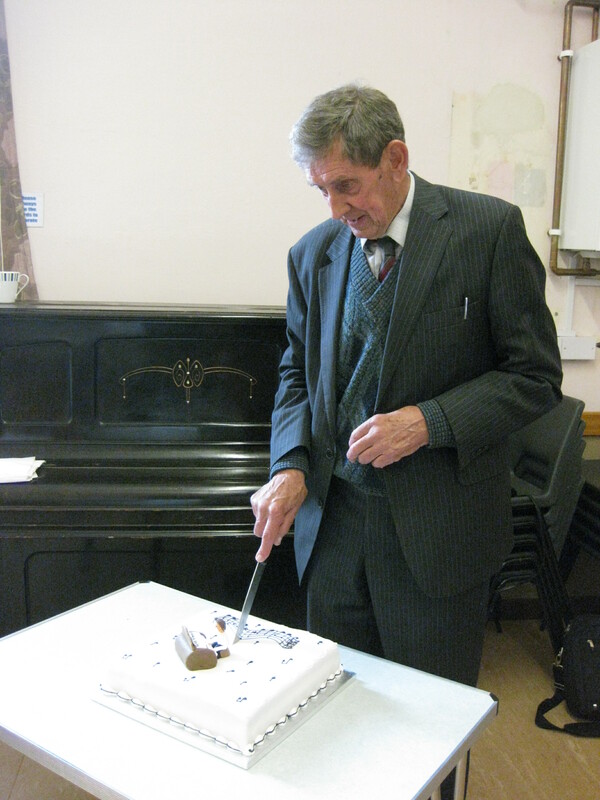 Abbey Hill hosted a coffee morning to raise funds for the Flower Festival in October on Saturday 1st March. 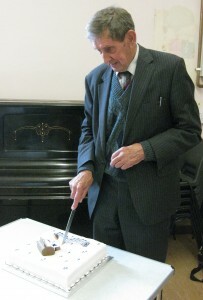 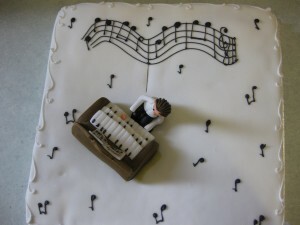 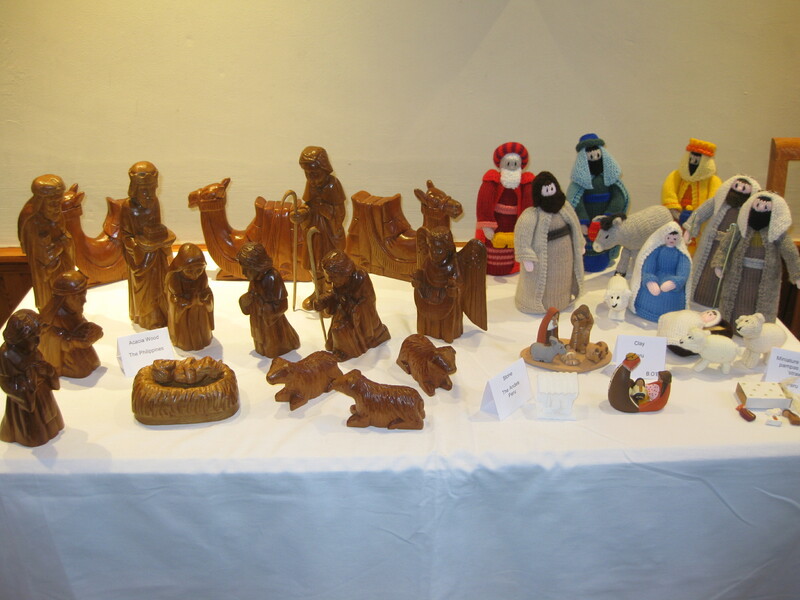 It was very well attended and the cake and raffle stalls were kept very busy. 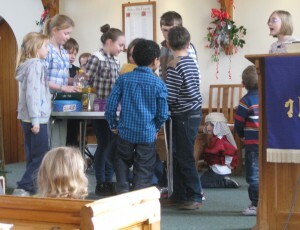 The amount raised was £331. 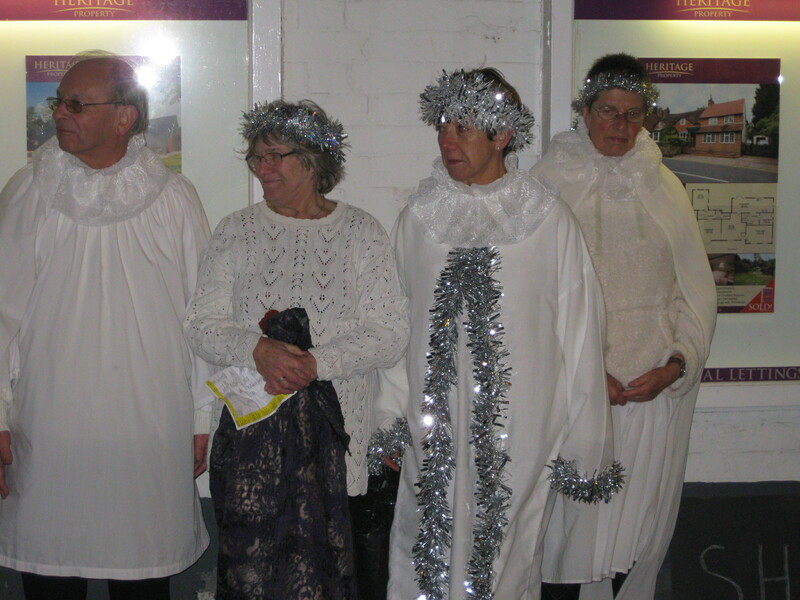 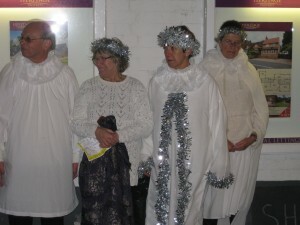 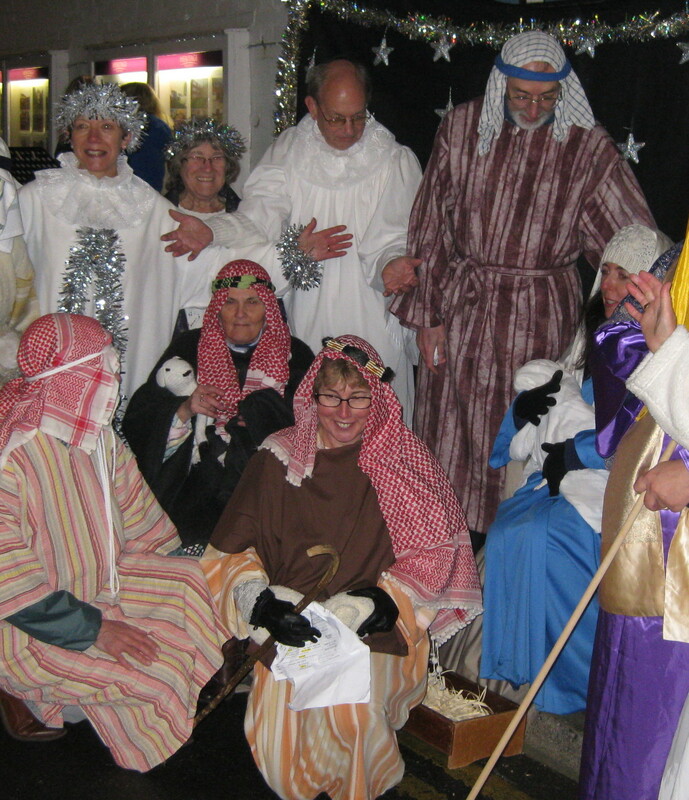 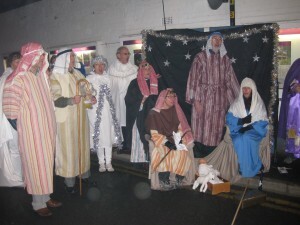 Churches Together in Kenilworth thought that it would be good if the Christmas story was told at the lights switch on ceremonies in Kenilworth. There was much to compete ahgainst with fair rides, food stalls and much loud music bit an audience did gather especially in high Street when many children watched. 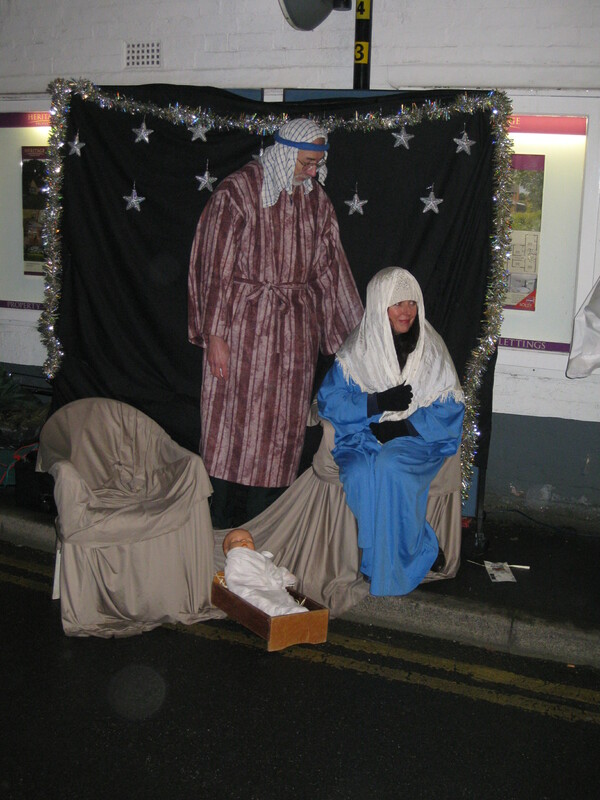 It was a cold evening so they drew closer together. 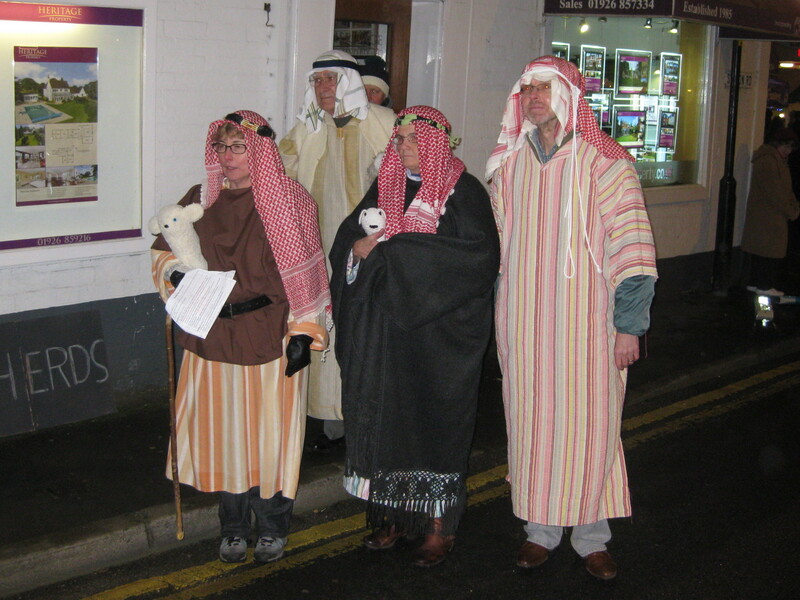 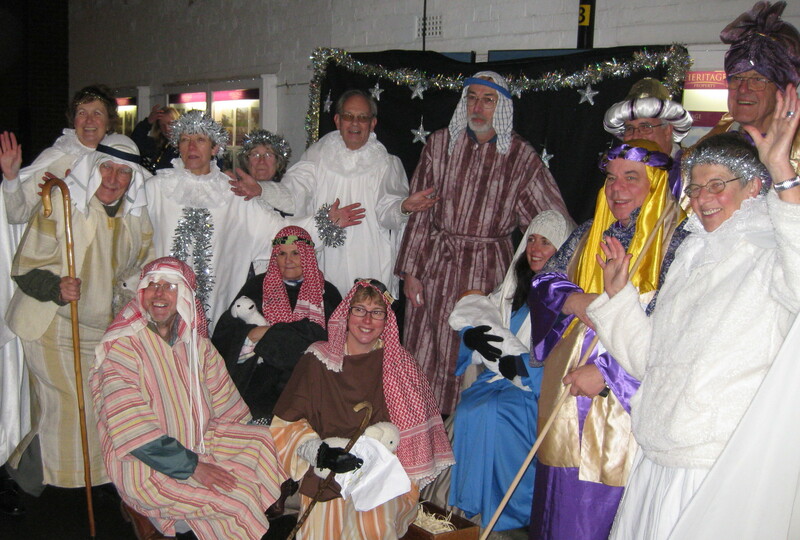 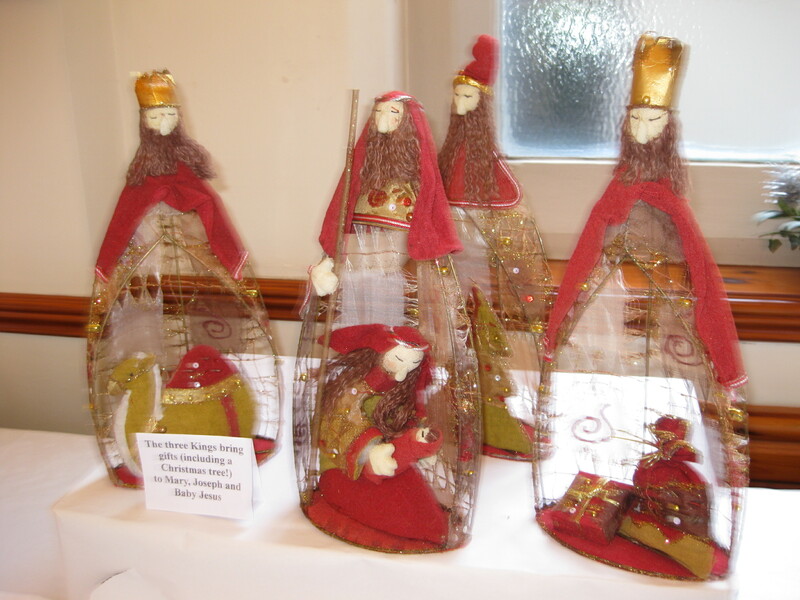 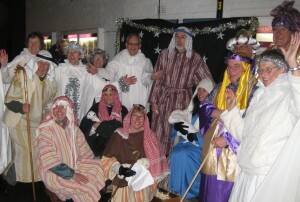 The wise men have joined them rather earlier than the story suggests! 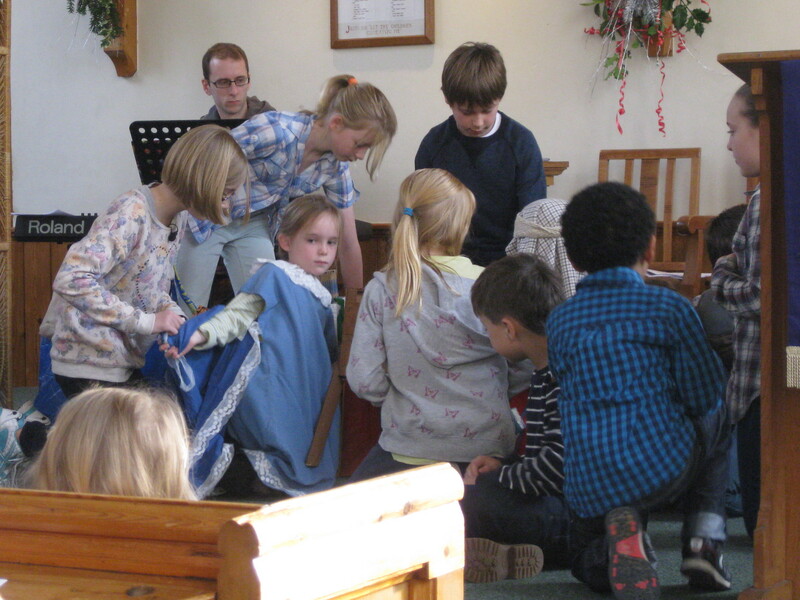 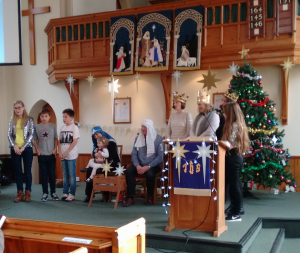 Junior Church with some help from the Brownies and Guides told a story showing how the Manger can be pushed out of sight at Christmas. 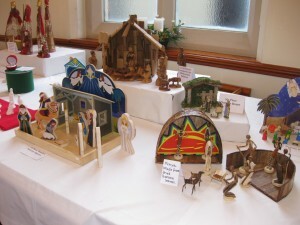 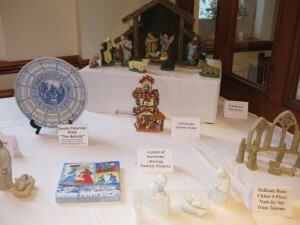 The Manger is at the front until the Christmas decorations are brought in . To make room the manger is moved back out of the way. Here comes the Christmas shopping! 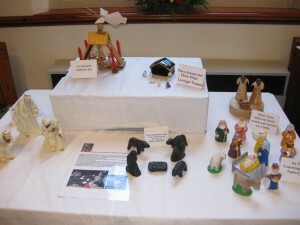 To make room the manger is moved further back. Where is the manger? Out of sight! 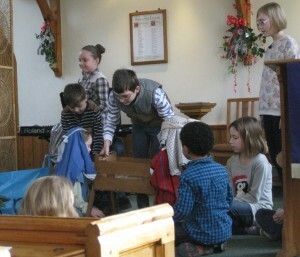 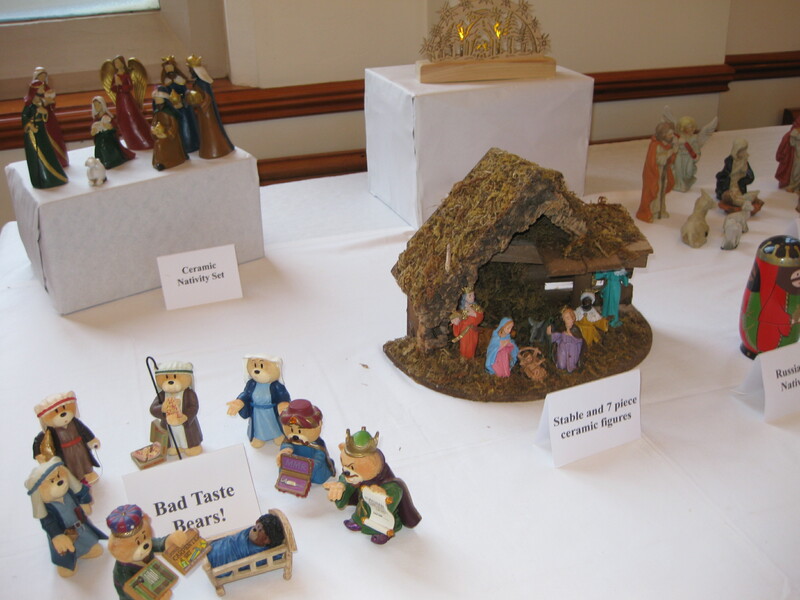 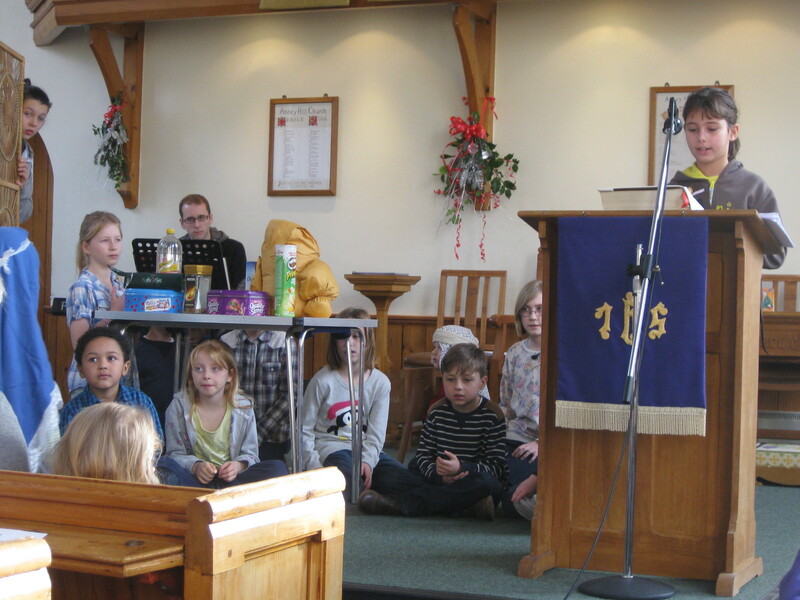 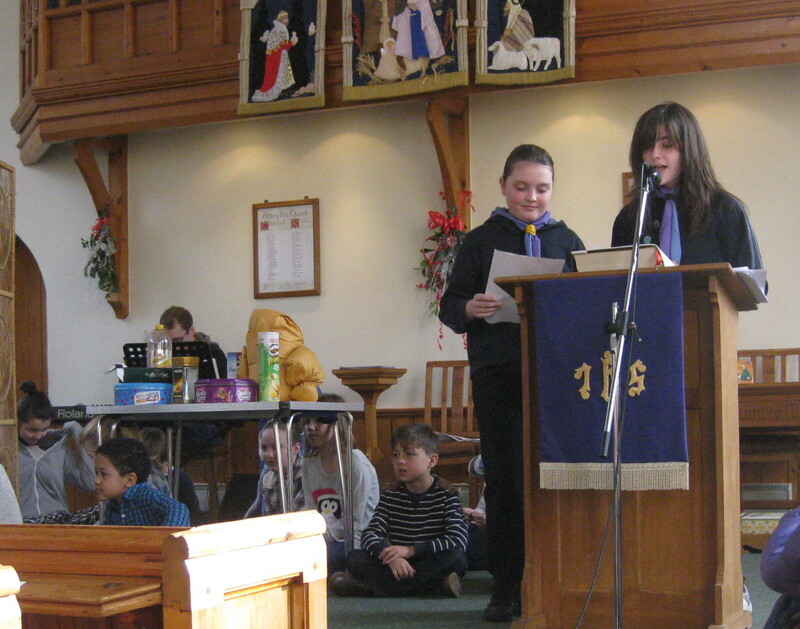 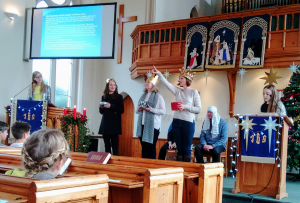 The brownies read the Christmas story showing why the manger is important. The Guides led Christmas prayers. 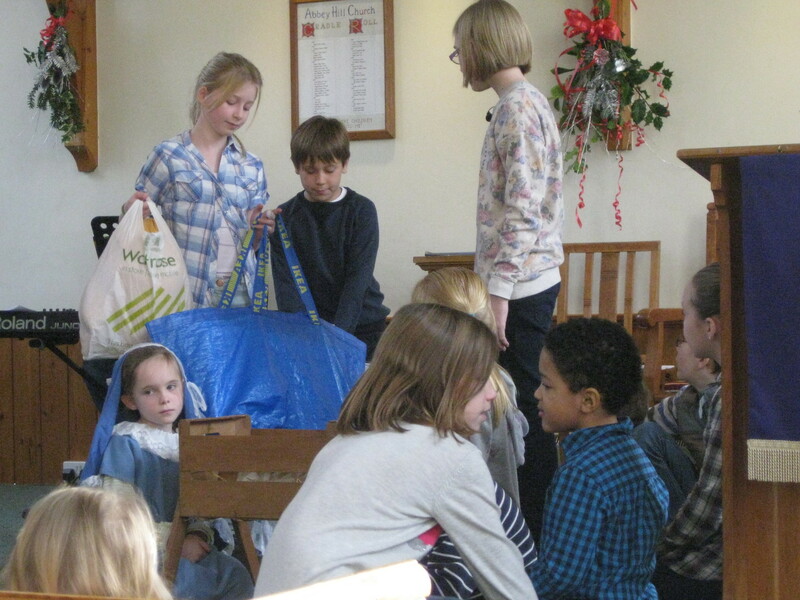 The manger is returned to the front. Please don’t move the manger this Christmas. 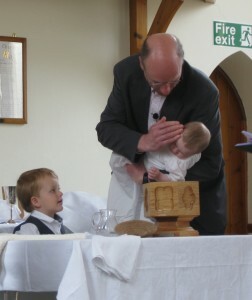 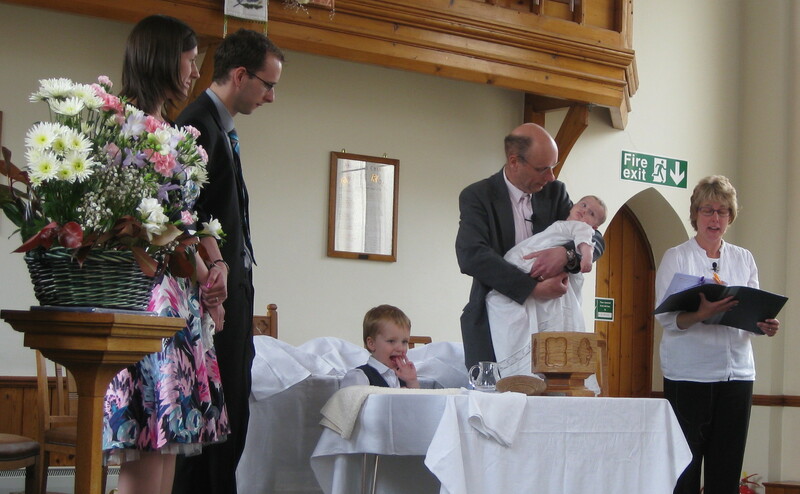 Emily Jessica was baptised on Sunday 16th June by her Grandfather in front of a packed congregation. What are you doing to my sister?